Muni riders have seen it all, and we can probably all agree that cat on a leash riding Muni is totally normal, and well-behaved felines in a stroller is only slightly weird (if not completely awesome). We’d probably not even bat an eye when we see our furry overlords riding atop someone’s shoulder on Muni. 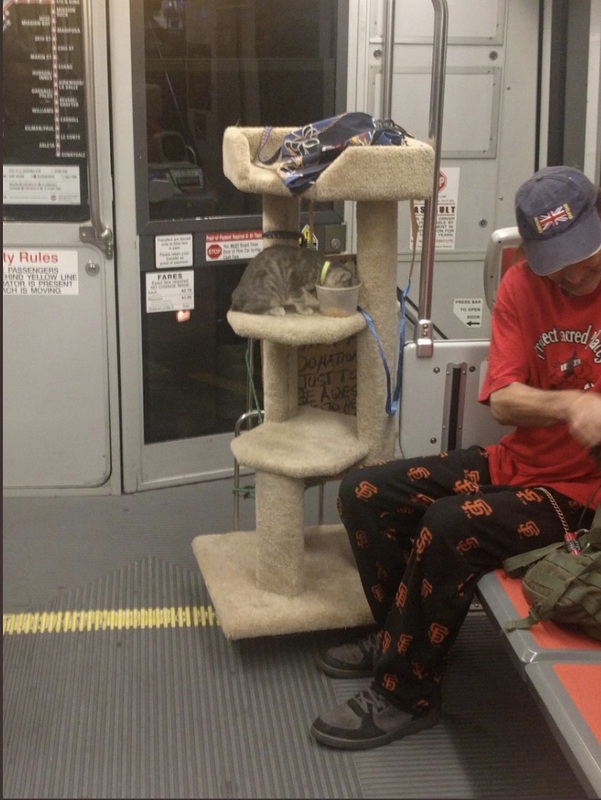 But bringing a full size cat tree on the N-Judah, complete with a kitten on a leash? We haven’t seen it all! Gizmo and Gizmo’s human: our hats (and cat lady sweaters) off to you! Thanks to rider Steve P. for the tip. 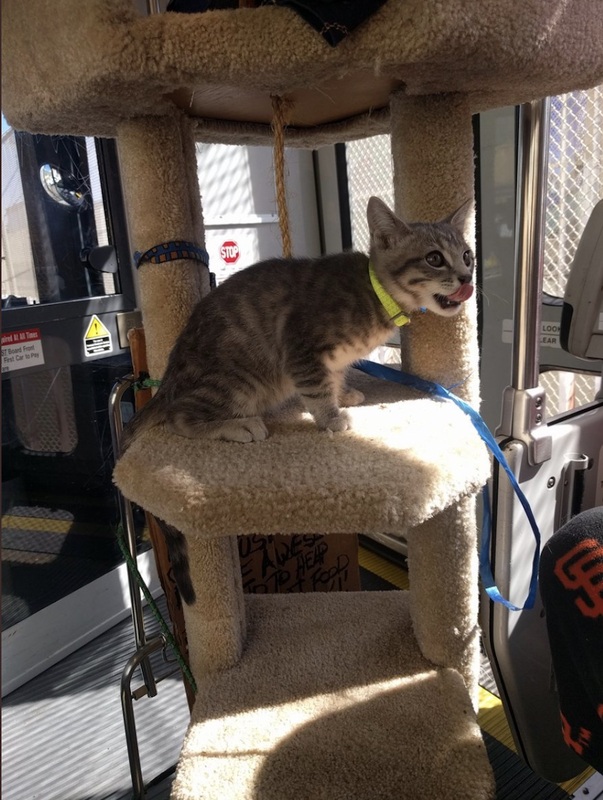 We have lots of cute animals riding Muni, as well as our strange cargo report for you to amuse yourself on this gray Monday. 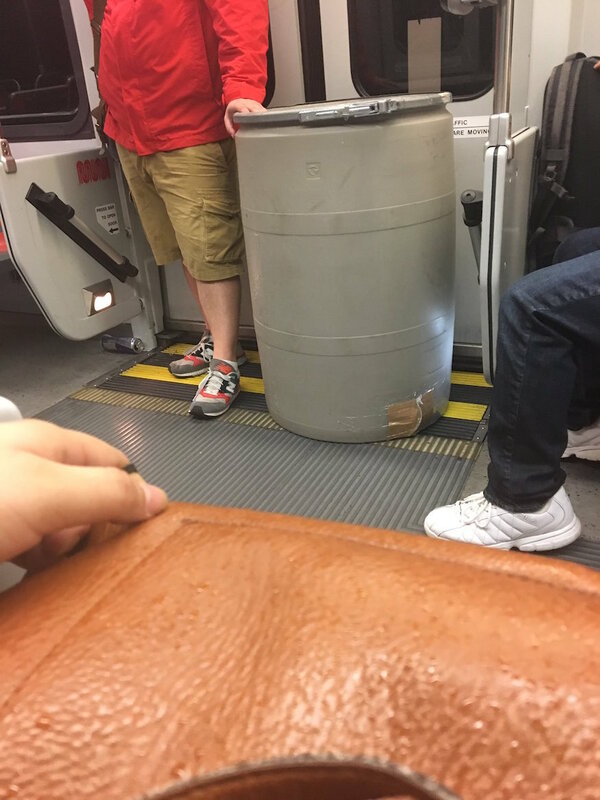 In the latest installment of “Gotta Get It Home Somehow,” Muni rider dee brings us this passenger on the K-Ingleside with what looks like a big ol’ trash can. 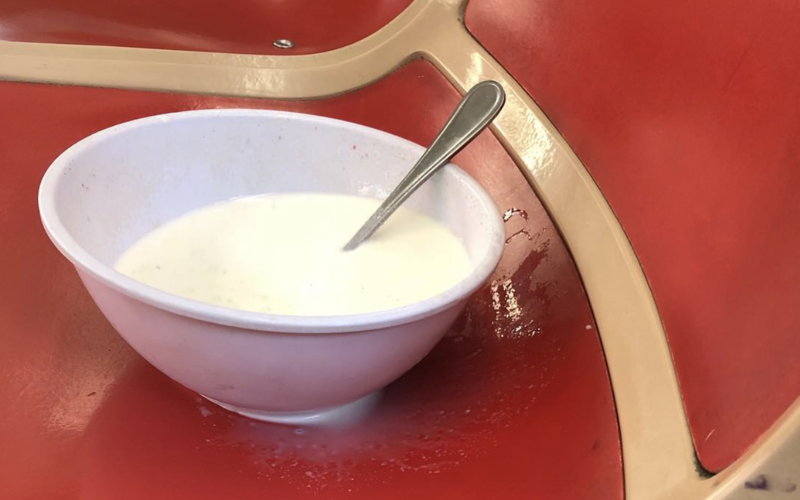 Or am I wrong and this isn’t a big ol’ trash can? Oh, well. You know … gotta get it home somehow. 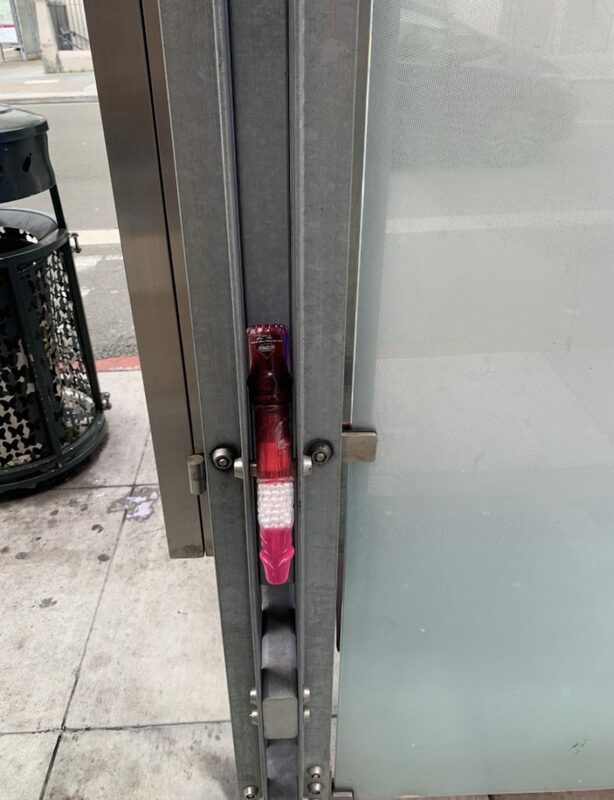 What’s the most awkward thing you’ve carried on Muni? When you have to take a streetcar to transport a spare tire to the nearest gas station! Thank goodness the train driver was kind enough to drop her off near the gas station. Whether it’s a giant bubble wrap, a full-size mattress, or Saint Jude himself, our strange cargo report has you covered. Tag us on Instagram #munidiaries to submit your own report! 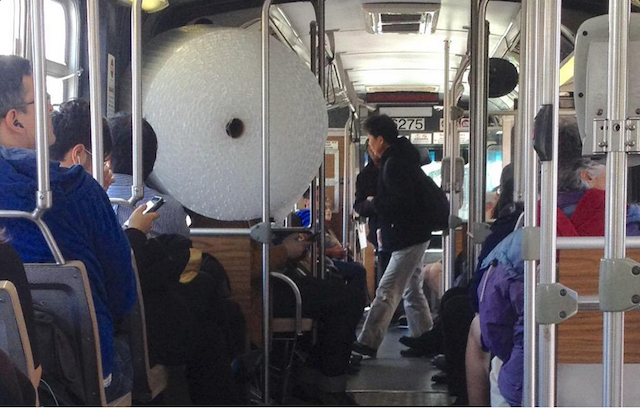 Muni rider Kim is on his way to bubble wrap all the things! I ran into Kim on the 38-R as he boarded the bus with his enormous cargo. 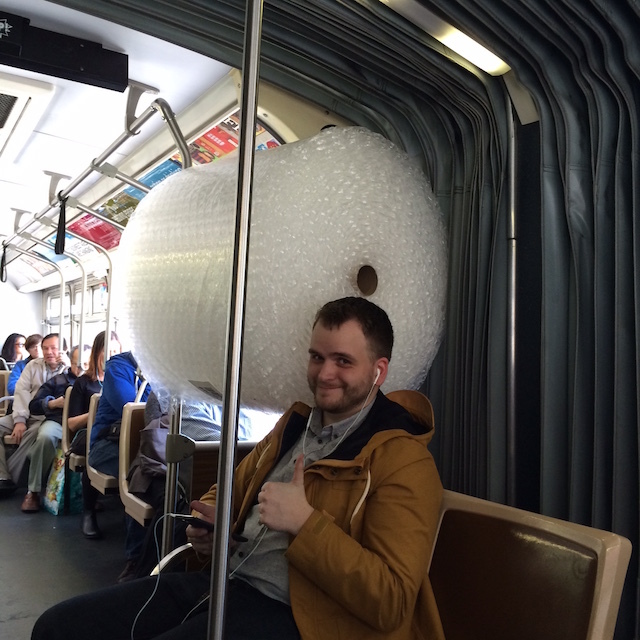 He was nice enough to let me take a photo of his bubble wrap, but I didn’t ask him if I could pop a bubble because that would just be creepy, right? Turns out someone else on the bus was equally impressed with Kim! 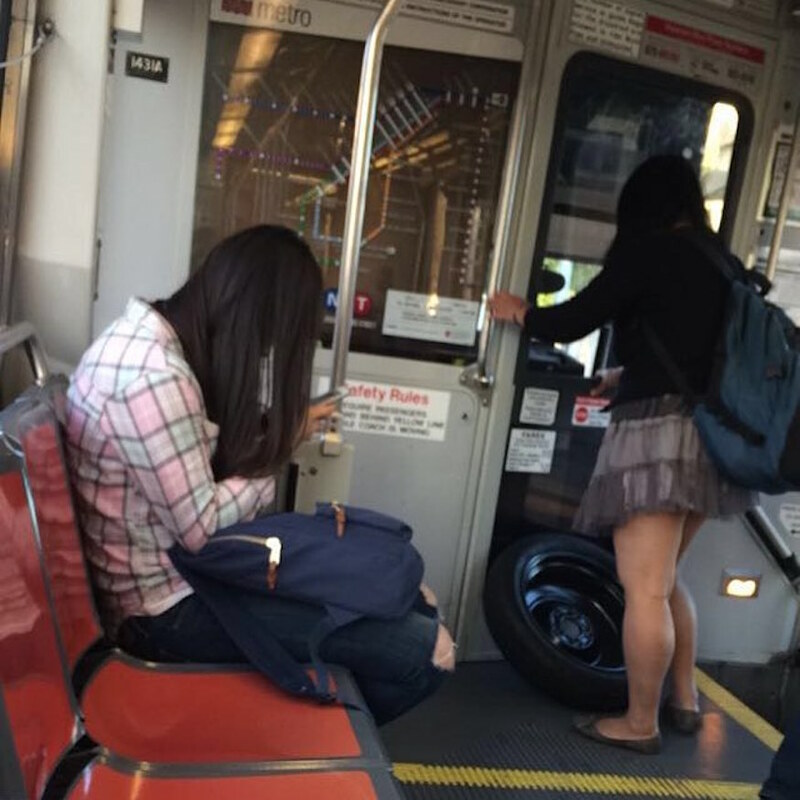 Here’s a shot by Muni rider Lorena from the back of the bus. Congrats, Kim, you have officially entered the Muni Diaries Strange Cargo Hall of Fame. You’re in good company with this styrofoam mountain and taxidermy deer head.